ST. GEORGE – A Utah Highway Patrol trooper intercepted and arrested two drug runners Sunday transporting 10 pounds of methamphetamine with a street value of half a million dollars during a traffic stop on Interstate 15. At approximately 2:17 p.m., Utah Highway Patrol Trooper Christopher Terry initiated a traffic stop of a vehicle on northbound Interstate 15 near milepost 1 because the vehicle’s registration was not on file, according to a probable cause statement written by Terry in support of the arrests. 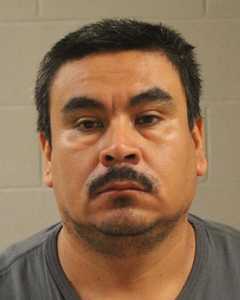 Terry made contact with the two men occupying the vehicle, later identified as 38-year-old Adalberto Reyes-Rivera, of Carter Lake, Iowa and 37-year-old Blas Figueroa-Jacinto, of Omaha, Nebraska. The trooper explained the registration violation to Figueroa-Jacinto, the driver of the vehicle, and asked for his driver’s license, the statement said. Figueroa-Jacinto handed the trooper an identification from Mexico, and the vehicle registration, which was in both the driver’s and passenger’s names. Terry asked Figueroa-Jacinto to wait in his patrol car while he asked Reyes-Rivera, the passenger of the vehicle, some questions about their trip. Reyes-Rivera also told the trooper they didn’t visit anyone in Nevada or go anywhere else and that they were on their way to see the land of Colorado, according to the statement. The trooper then returned to his patrol car to speak with Figueroa-Jacinto. “(Figueroa-Jacinto) stated they went to Arizona for 3 days to see it,” Terry wrote in the statement. While waiting for records to return, the trooper deployed his police narcotics K-9 on the outside of the vehicle, the statement said. The K-9 indicated the presence of narcotics in the vehicle. The wholesale price of 10 pounds of methamphetamine is around $100,000 to $160,000, Utah Highway Patrol Sgt. Jake Hicks said, with a street value of around $500,000. Both Reyes-Rivera and Figueroa-Jacinto were arrested and booked into the Washington County Purgatory Correctional Facility. While Reyes-Rivera was being searched during booking, a white powdery substance was located inside a one dollar bill folded several times into a square in his wallet. The substance tested positive for cocaine. Reyes-Rivera was charged with two second-degree felonies for drug possession and drug possession with the intent to distribute, and a class B misdemeanor for possession of drug paraphernalia. 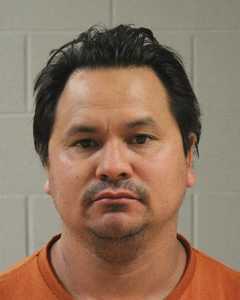 Figueroa-Jacinto was charged with a second-degree felony for drug possession with the intent to distribute, a class B misdemeanor for possession of drug paraphernalia, and a class C misdemeanor for never obtaining a driver’s license. Judge John J. Walton, of the 5th District Court, ordered Reyes-Rivera’s cash-only bail amount set at $55,000 during his initial court appearances Tuesday. He is scheduled to make his next court appearance on March 30, where he will be represented by court-appointed attorney Douglas Terry. Walton ordered Figueroa-Jacinto’s cash-only bail amount set at $50,000 during his initial court appearances Tuesday. He is scheduled to make his next court appearance on March 30, where he will be represented by court-appointed attorney Michael Lastowski. Geeeeeeeze, that’s a lot of ***** meth. Did this meth originate from Mexico? You know the ole payoff at the border to let the vehicle through? Since we, the tax paying citizens of Washington County, get to foot the bill for the attorneys to represent these knuckleheads, does the county get to keep the vehicle and sale it to recoup some costs? Now they get to see the beautiful lands we call the fair grounds outside their jail cells. Time to get that new firing squad on alert. What’s this country coming to when drug dealers can’t do business without harassed by law enforcement.? I’ve been waiting several days to say “Dang tweekers!” Glad these two are locked up.